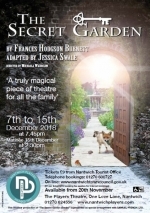 â€œTo plant a garden is to believe in tomorrow.â€ In Jessica Swaleâ€™s richly imagined adaptation of Hodgson Burnettâ€™s much-loved classic, we follow the fortunes of the orphaned Mary as her ice begins to thaw and her curiosity leads her on one of the greatest adventures in popular literature. In this work of beauty, poetry, deep mystery and pure magic, step into a closed world where oneâ€™s destiny may be discovered. Be prepared to be enchanted by the power of Mother Nature as the seasons change, animals talk, love grows and the knowing that if we put down firm roots anything in life is possible. This is a play allowing the young and â€œyoung at heartâ€ to hope, believe and dare, if you will, that miracles can come true. In this season of love and goodwill on earth, this feel-good play is a must see for all the family! Directed by Michaela Warrilow, performances will be at 7.45pm on 7th â€“ 15th December with a 2.30pm matinee on Saturday 15th December, 2018. 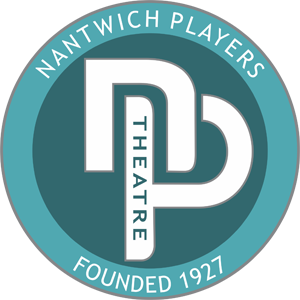 Tickets priced at Â£9.00 will be on sale from Nantwich Tourist Office (01270 600727) or on-line at www.nantwichtowncouncil.gov.uk from Tuesday 20th November 2018. Priority tickets for our VIP Supporters go on sale Saturday 17th November at the Theatre. To find out more about becoming a VIP Supporter visit the membership section of the website.